Are you looking for a little something different in your wedding invitations? If so, call up one of our preferred vendors, Gourmet Wedding Invitations and they will whip you up something absolutely delightful. Here is just a smidgen of all the goodies they offer. 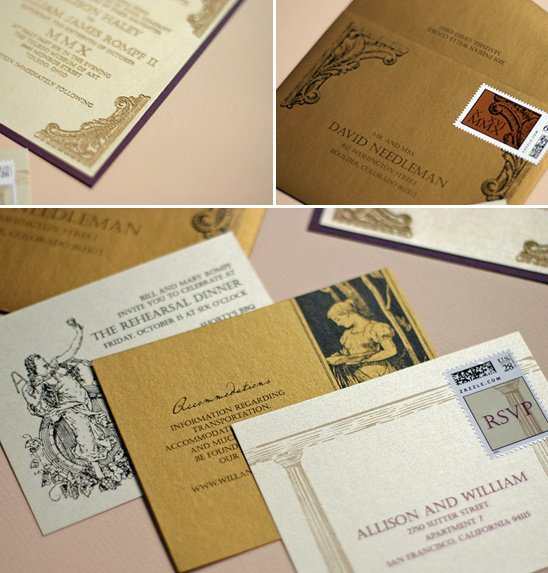 You can see more wedding invitations by visiting their blog. 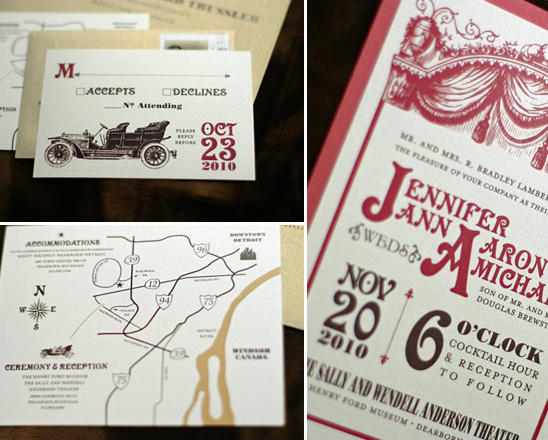 How much do you love the vintage themed play bill wedding invitations below? 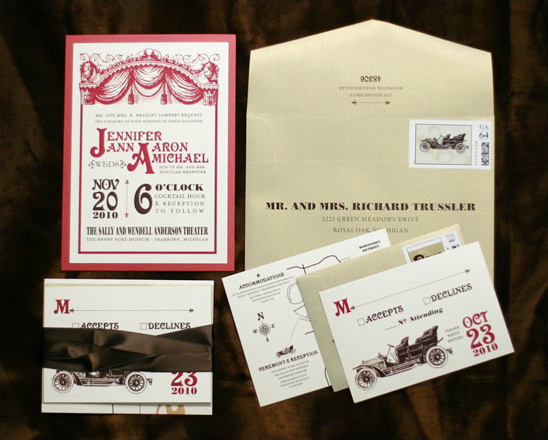 From the custom envelope to the vintage car, no detail was left undone in these invite. They go perfectly with the wedding venue, The Henry Ford Museum. 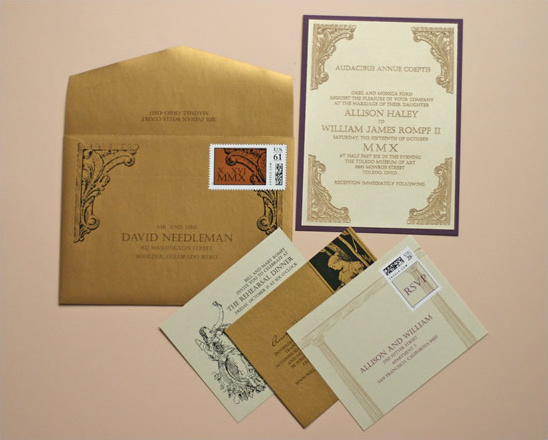 Be sure to check out more of Gourmet Wedding Invitations excellent wedding invitations. Top photograph provided by The Shooting Gallery.